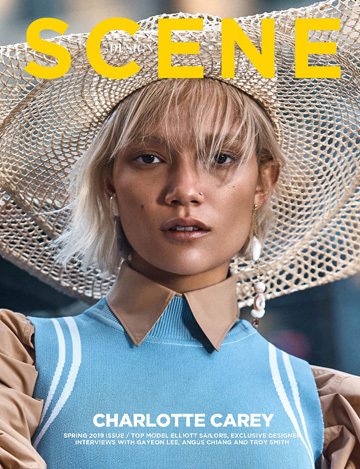 Fashion photographer Coni Tarallo captured the cover of Beauty SCENE by DESIGN SCENE Magazine‘s #030 edition featuring the striking Elliott Sailors. In charge of styling was Paula Casado, with Art Direction from Catherine Uhlrich. DESIGN SCENE 030 is out next week –pre order the digital version here. Beauty is work of Makeup Artist Jezz Hill and Hair Stylist Kiyo Igarashi.